We're sitting down with our favorite writers and cooks to talk about their upcoming cookbooks, their best food memories, and just about anything else. Today: Rosie Schaap talks to us about how to find the right bar, how to sit at one, and what you should read when you're feeling thirsty. We now interrupt our regular programming to move from the kitchen to the bar. Specifically, any bar where Rosie Schaap may be. 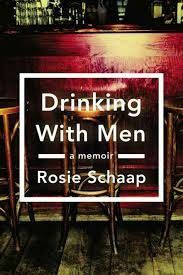 In Drinking with Men, Rosie tells the story of her life through the bars she has loved. 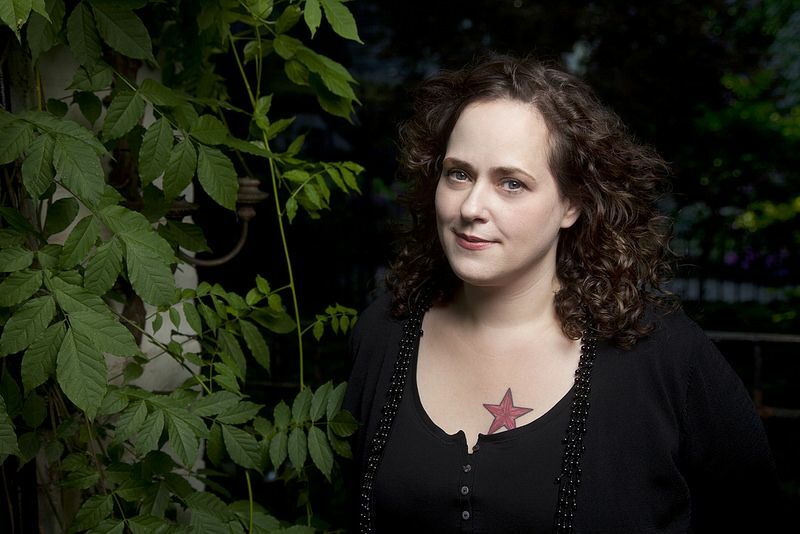 Instead of romanticizing smoky establishments or late-night encounters, she draws her readers to the bar by celebrating the communities that a good one can foster, and the relationships it can build. The book also endears you to its narrator as you follow her many adventures. We see Rosie as a fortune teller on a train car, as a deadhead, as a college student drinking with her professors. She's a bar chaplain, an expat in Ireland, and finally, brilliantly, the organizer of a group reading of The Tempest at a local spot whose end is near. We meet the characters that line her path; we see more clearly why bars still matter. So before you head home to cook dinner, or once you're feeling cooped up in your kitchen after one too many pragmatic winter pantry meals, head to your local bar, and take a page out of Rosie's book. If you need more convincing, read her tips on picking the right place -- and enter to win your own copy below. Some people are terrified by the prospect of walking into an unfamiliar bar, alone, without a friend to talk to or a smartphone to flip through. What is your advice for those looking to drink alone, at a bar, without having a panic attack? If there’s a barstool open in a corner, grab it. A corner is a great vantage point from which to watch the story of a bar unfold. (And something just feels cozy about a corner seat). Say hello to your bartender. Look at what people are drinking -- is it what you like, too? Eavesdrop. Listen. When I go to a bar I’ve never visited before, I do something that falls somewhere between an audition and a meditation: I pay attention to how the bar (not just the booze) acts upon me, how it makes me feel. Do I feel welcome? Do the regulars seem friendly, diverse, interesting -- like people I want to know? Do I like the lighting? The music? The photos on the walls? And if you don’t like the feel of a place, trust your instincts. I haven’t fallen madly in love with every bar I’ve ever stepped foot in. When you find your bar, you know it. In Drinking with Men, you write almost exclusively about neighborhood bars. Has the craft cocktail movement had any sort of effect on the institution of the neighborhood bar? The craft cocktail movement has probably improved one’s chances of getting a good classic cocktail at a neighborhood bar: I see more care and attention given to cocktails generally, and that’s great. But I think the movement has changed some consumers’ expectations, and that’s not necessarily great. It’s still good to know how to read a bar: some places are best for a beer and a shot, some for a rediscovered, absinthe-laced 1930s number, some for a glass of wine. Community always will matter more at neighborhood bars than craft-y cocktails matter, and that’s as it should be. More: Feeling thirsty? Shake up a Blood and Sand. What characteristics make for the perfect neighborhood bar? Most of all, it’s about a strong sense of place, and a feeling -- warm, relaxed, safe, friendly. It should have a great mix of people of different ages and sexes and backgrounds and occupations and interests. Conversation should prevail over music and television. A neighborhood bar is a vital place to build community among people who might seem to have little else in common. A place where people have got your back, no matter what kind of mood you’re in -- and where FedEx can drop off that package when you’re out of town. There has been a lot of hoopla over the past few months about the role of women in restaurant kitchens. Namely, that they don't receive the recognition that they're due. Do you think that a similar prejudice exists for bar staff? I wrote Drinking With Men because I recognized that, as a bar regular who happens to be a woman, I am part of a culture that is largely the domain of men, but which I believe many women would love and value if they took that sometimes scary step and claimed a barstool of their own, too. In many respects, I feel the same way about the working side of a bar: It’s also a predominantly male world, but one that can be great for women, too. Without question, many of the best bartenders in New York are women -- both at neighborhood bars and craft cocktail destinations. I can’t imagine that anyone who loves cocktail culture would not acknowledge how crucial the role, and influence, of women like Audrey Saunders and Julie Reiner has been. What is your favorite piece of writing -- poetry or otherwise -- about booze? I love so many, I can’t pick a favorite. Kingsley Amis and M.F.K. Fisher and David Embury were all so brilliant on drink. My friend Kate Christensen’s novels are loaded with spot-on and often hilarious renderings of inebriation (In the Drink and The Epicure’s Lament especially). I love Ciaran Carson’s Bloody Mary poem, “Hippocrene,” and Moira Egan’s Bar Napkin Sonnets (especially #11, about mescal). The hangover description in Amis’s Lucky Jim. And there’s Brecht. And Ko Un. Booze is a busy, busy muse. We're giving away five copies of Drinking with Men! Tell us in the comments: How do you define the perfect bar? We'll choose winners at random this Friday, February 21st. my perfect bar has a good beer selection, isn't overly crowded or loud, and has a bartender who knows both my name and my drink. The perfect bar is the bar you feel safe and cozy in. It needs an attentive and knowledgeable bartender, a mix of chairs, armchairs, maybe a corner booth. It's somewhere where, depending on your mood, you can talk or not, sit at the bar or hide away in a booth on a date. Local beer, classy drinks, and no snobby attitude. In my neighborhood I have found the perfect bar. Where I as a single woman can feel welcomed and comfortable, without getting hit on by male-sharks. Where I can listen to small talk and enjoy the conversations of regular real people. Where everyone knows my name. Where the bartender knows my favorite drink. Where I meet friendly people who share their lives with one another. Where I can laugh out loud and be myself. Where I can walk home after having a few drinks without risk of getting a DUI. That’s my definition of a perfect bar. I would love to find a place where everybody knows my name. I love the community that can arise when the staff and other regulars get to know one another. Good lighting, music/TVs aren't too loud, good drink selection, friendly staff. I like a bar with an attentive but not intrusive bartender. And a clean bar is a happy bar. I love a bar where hospitality rules. Where I feel welcome. If the drinks are good, even better. And if they serve tasty bar food, I've found a new favorite spot. Similar to what Rosie says - the perfect bar is a lot about the feel of the place. I like a place where I can comfortably sit alone for a bit - either as a break for myself, or if I'm waiting for my ever-late friends. It's a fine balance of not wanting to be hassled, but not completely ignored. The perfect bar has lighting that is bright enough to feel clean, but low enough to make us all look good. The staff is attentive and non-judging - even when I want to drink my wine through a straw - and the owner is a familiar face. Friendly bartenders, good local beers, affordable wine list and tasty small plates. Noise level that's happy but let's you converse. A patio strung with lights is a nice touch. IB love going to bars alone and I'm a 64 year old woman! I'm not afraid to try new ones, but do tend to gravitate to 3 where the bartenders call me by name. Also, if they are not too much in the weeds, we have lively convos...beer, wine, cocktails...depends on the bar! any bar with a sour ale on tap wins high points in my book. the perfect bar has the glassware to match the booze! A sordid or colorful past and staff that know their stuff. When a bartender takes pride in the drinks s/he serves, you can always tell. 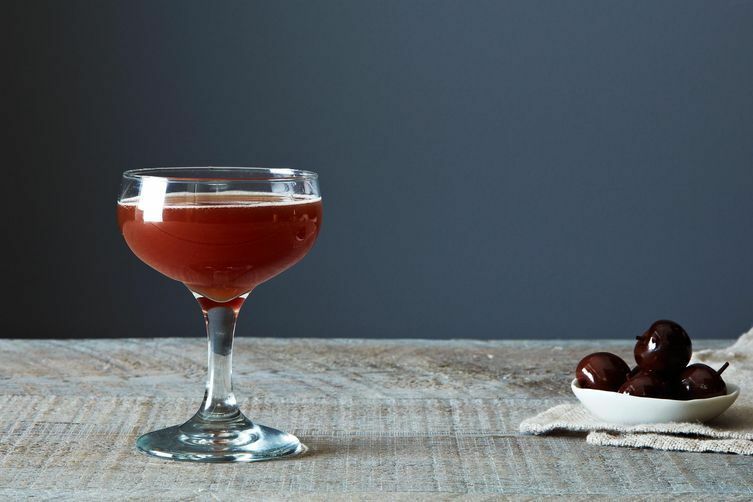 The bar can be dumpy, frumpy or fancy, a craft cocktail lounge or a dive bar or a microbrewery in a strip mall, but if the person serving you drinks really wants you to enjoy what you drink, that makes a good bar. A little history also goes a long way in creating ambiance in any setting; some of my favorite bars are holes in the wall that still allow cowboys to ride their horses in, or that were built to house Napoleon should he ever make it out of France, or owned by a pirate in the late 1700s. The perfect bar has bar stools that fit short ladies. The bar stool has a back to hang your coat, a bar to rest your feet and a hook to hang your purse. The perfect bar has a bar tender that greets you like she is really glad you came and remembers your drink after you have been there a couple times. The perfect bar has guests who engage in conversation rather than their smart phone and last of all the perfect bar has my favorite wine at the right temperature and in a fresh bottle. Karen! I own this place! I own a coffee- bakery- wine bar in the mountains of west North Carolina with all the things you like...let me know your fave bottle and we'll see you soon! The best bar is one in which by at least the end of the night someone has broken into a drinking song or told a good old story, usually about a long term customer. The perfect bar...isn't a bar. Instead, it's a place where spirits meet like-minded spirits. Conversation, or lack thereof, distills down into something sweet and tangible. The flow of drink, served like volleys over a space separating spectators and players, matches the rhythms of bodies imbibing. Finally the taste, like a memory that lingers on craft blends, embodies everything you are in that present but never 'will be'. My bestie and I have been questing for Our Bar for a year. There are good bars downtown, but we don't want to drive downtown: neighborhood is the key word! There seems to be no happy medium between dive and Chain Restaurant Bar. Alas! It's getting sad when we want a drink and have no where fun and comfortable to go. Glad to see that others have found theirs; lift a glass for us. A perfect bar has comfortable seating, a great whiskey menu, and room for friends...(it almost never has neon lights in the form of advertising, billiards or darts, or food specials from off site locations)...hosts happy hours, and doesn't have a line to get in.